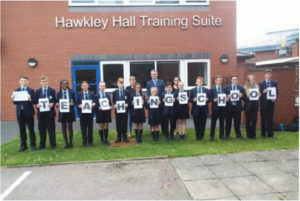 Hawkley Hall High School are working in partnership with Winstanley College, Byrchall High School, Fred Longworth, Tyldesley Primary School and The University of Cumbria to deliver outstanding teacher training. If you are interested in finding out more there is an information evening at Winstanley College on Wednesday 10th October from 6-7.30 pm. We would love to speak to you if you are considering a future career in teaching or would like to arrange school experience. Whether you are an undergraduate, graduate or considering a career change, come along to this event, this could be the first step towards a most amazing career in teaching.